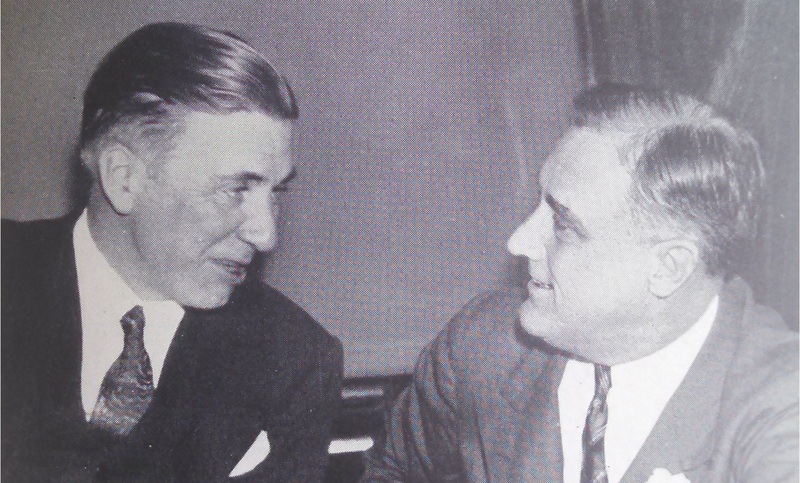 Governor Floyd B. Olson and President Franklin D. Roosevelt in Washington, DC. While reading Floyd Bjornsterne Olson: Minnesota’s Greatest Liberal Governor (1937), a collection of speeches and remembrances published after Olson’s death, I came across the following. As I prepare for the LSAT, I’ve received thousands of tips on what to do before, during, and immediately after law school, but none of it has been as useful as the following. Young lawyers: Take note. I was unable to find the annual tuition cost at Northwesten Law, but I do know it cost $160 (plus a $10 fee) to attend the University of Pennsylvania’s Law School at that time, which would be ~$4,000 in today’s dollars. A century later, according to the American Bar Association, the average debt for private law school graduates is $125,000 — so maybe Floyd’s on to something here.